Aries: Children are very playful. They have good self-confidence. Their confidence decrease when they does mistake. Regularly offer water to increase self-confidence. Taurus: Children are very serious and hard working. However, their confidence decreases before the examination. Their self-confidence can be strengthened by seeing lord Shiva and drinking milk. Gemini: Children are very intelligent. Their self-confidence decreases due to multi-tasking. Regularly use green color and eat saunf to increase self-confidence. Cancer: Children are very sensitive. Small things impact on their mind. Sometimes, their confidence is very good and sometimes it is very weak. Regularly eat sugar and worship lord Hanuman to increase self-confidence. Leo: Children are very energetic and amazing courageous. They achieve good positions if they get good direction. Sometimes, their confidence converts in over confidence. Regularly see lord Sun and eat walnut. Virgo: Children are serious and calm. They think too much about having food and life. Usually they have less confidence however; they get confidence in difficult time. Eat saunf and use light blue color to increase self-confidence. Libra: Children are very playful and generous. They accept everything and adjust with it. However, they do mistakes. Take care of their fellowship and keep away them from alcohol. Scorpio: Children are very sensitive and soft. They hurt easily and take it seriously. Their confidence is weak. Drink milk, mixing sugar and worship lord Shiva. Sagittarius: Children are very intelligent and energetic. However, they have ego and anger. 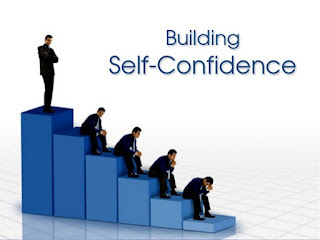 They face problems due to over-confidence. Regularly chant Gayatri psalm and use more yellow color. Capricorn: Children are lucky since childhood. They are very good at sports and education. Therefore, they get ego. They face problems in relations due to confidence. Regularly use white color and fragrance. Aquarius: Children are intelligent and philosopher. They want to do something different from others. They have good confidence for others. However, they have low confidence for themselves. Eat more sweet products and use more sky color. Pisces: Children are very rich of multi-dimensional. They give good guidance to society. Therefore, it is very difficult to understand them. They have confidence and they know its use. Chant Hanuman Chalisa to increase self-confidence. Good Luck: Children should obeisance to food before having it. They won’t face health issues. Also, they do not face shortage of food. Are you feeling Disturbed or Feel Sadness?